Agromeck Co-Photo Editor, Ryan Parry said: This week’s photo of the week is by staff photographer Nick Faulkner. Nick went out and shot the festivities that happened during the snow days on campus. 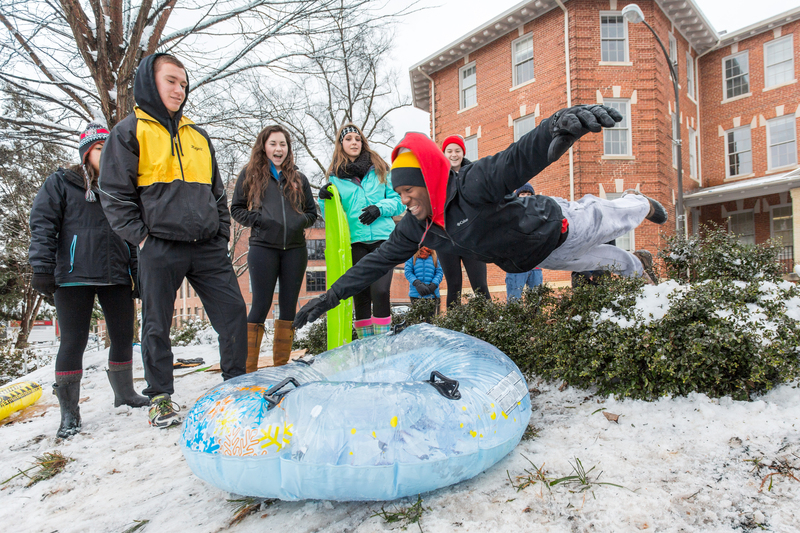 Here Nick shot students sledding at the Court of North Carolina and caught a student leaping onto an inner tube. The reaction on both the student jumping and the students standing around watching is truly what makes this photo stand out from the rest. It’s always great when we get photographers covering snow days on campus and here Nick did an amazing job.